It’s award all around and I owe special thanks to the lovely Miriam who shares her adventures and lovely animals over at Farm Girl. Since I’ve made the classic rookie mistake of not having a proper speech prepared, I’ll just skip to the fun part (smile). 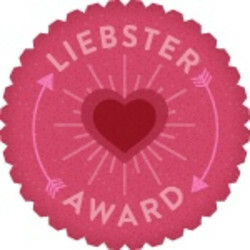 “Liebster” is German and means sweetest or beloved. 1. Tell 11 things about yourself. 2. Answer the questions the nominator has created for you. 1. I love animals. If I had a huge area of land and the budget, I would love to open up an all-animals-welcome preserve. 2. One of my dreams is to visit all 7 continents (4 down, 3 to go!). 3. I’m a huge Beetles fan and my bedroom may somewhat resemble a shrine of sorts. 4. My Plan B in life is to be a one-stop wedding shop – I’m an attorney, an ordained minister, and amateur photographer (think pre-nup, wedding, and maybe even a few photos). 5. I have my dad’s feet – right down to the same webbed toes! 6. All of my immediate family (on all sides) lives within 6 hours of one another except for my brother and myself. Rebels, see? 7. I grew up on a farm and know from experience that pretty much everything washes off. 9. I love to go fishing, but I don’t really like to eat fish (so I generally put the poor creatures back). 10. When I lived in Miami one of my favorite weird eats was gator bites. Yum! 11. I hate talking on the phone and avoid it at all costs. I was so happy when texting/emailing became a big thing! 1. Name one reason you started blogging? I started blogging for the community. I initially read travel and expat blogs to get ideas on where to go and some tips/tricks for moving abroad. Then I realized what a wonderful community those bloggers create and wanted to join the fun! If you insist I choose – beach. My real preference is both! 3. What is your Myers Briggs? 4. Name the bravest thing you have ever done. I broke up with my fiance 2 months before I moved to Arizona where I knew absolutely no one. I had no guaranteed job or source of income and I couldn’t work much while I studied for the bar. It was a crazy time, but the best move I could’ve made at the time. I had a black bean burger and homemade sweet potato fries. Double yum! 6. What’s your go to swear word? Like Miriam, my go to swear word is the f-bomb. I use it a lot. I never realize just how much until I’m around my family (even “freaking” gets me a “pretty girls do not have ugly mouths” from grandma) or when I’m writing something I’m particularly passionate about on this blog. There’s a time and a place in writing for language, but there’s no reason to publish casual usage just for the hell of it. Ha. 7. If you could take a trip tomorrow and money was no object, where would you go? Africa. I’d start at one end and travel to the other (smile). 8. What’s your favourite cocktail? Rum & anything. 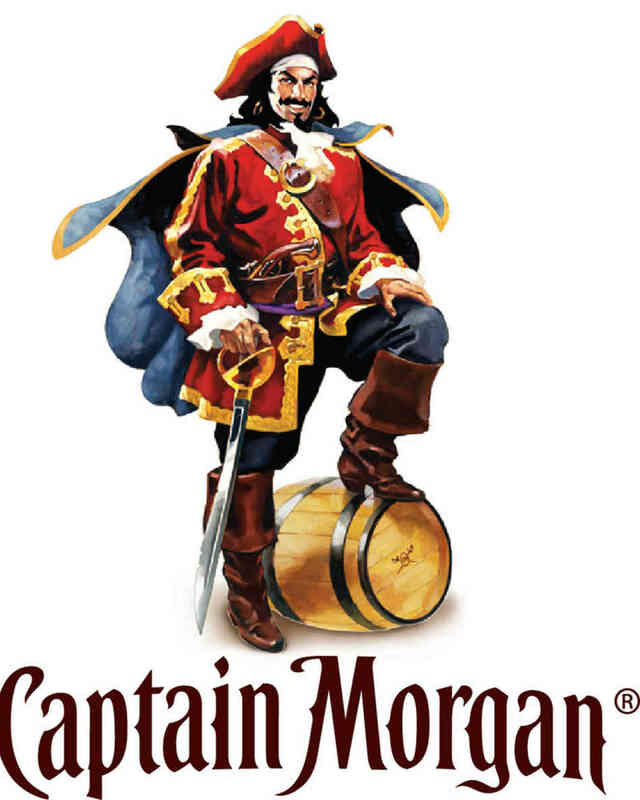 I actually like a good dark rum all on its own. But my everyday go-to is usually red wine. 9. What is the best book you have read in the past year? The Historian. It’s a slightly different take on the Dracula story. It’s very historical and while it is fiction, it is no Twilight. While not outright scary, it did make me want to keep a few extra lights on while reading which I see as a sign of a well-written story. 10. Heels or flats? Shorts or skirt? 11. What does your name mean in the urban dictionary? Women named Meredith are enigmatic. They are extremely intelligent but have a tendency to act amazingly stupid. They have loads of factual knowledge but little knowledge of the “ways of the world.” There two varieties of Merediths. One variety encompasses the Merediths who use their intelligence to act pure and innocent but soon the truth of their scandalous side comes out. The other variety of Merediths are truly innocent. Decipher which type is which at your own peril. Ha. I’m not sure I agree with all of this, but if it holds truth, I’m probably in the first group (angelic smile). 1. Where is your dream vacation destination? 2. What is your favorite post on your blog and why? 3. What’s your go-to drink after a long day or at the bar? 4. What is something you enjoyed in childhood and would like to do as an adult? 5. Do you prefer movies or books? 6. What is one challenge you’ve set for yourself this year? 7. What’s the strangest food you’ve ever eaten? 8. What is your favorite quote? 9. What’s your favorite holiday? 10. When is your favorite time of day? 11. What’s your go to swear word? Tag You’re It! Have fun everyone!! Congrats. You are a very interesting person! Hi congratulations to you and thank you for the nomination. Good questions and i do like the last one. I know you shouldnt do it but when you need to we all have a go to swear word. We do some thinking and post answers. Thanks again! Hey thanks! And you’re welcome! I was happy to have the chance to pay it forward and showcase some of my fav blogs 🙂 It’s harder to come up with 11 random things than I expected, but it was fun! I agree on the swear words and I’m always interested to hear personal favorites – there are definitely some creative potty mouths out there! What a wonderful post, Meredith! Crazy fun to read – and especially fun to get to know the girl behind the blog. Also, many thanks for all the wonderful links to some terrific bloggers. I’m making my way down the list one by one. Lastly, my urban dictionary name definition was so flattering, I’m thinking of tattooing it all on my forehead for everyone to read when they first meet me. I love it! That urban dictionary link is a lot of fun! I definitely got a good laugh when I read mine! Thank you, Tank You!!! 😀 I’m very honoured and I got the nice message. Already been through this one, and later decided to opt out of the awards. Israel, would be on top of my list of countries I want to travel. Then there’s also Iceland! I spent 11 hours there, one windy Sunday, and there’s something about that island … the desolate landscape … the black earth … that keeps calling me back. I’ve been back since, but never had time to leave the airport. I have Iceland on my list as well, although I’ve never been to or through there. I keep hearing so much about it I feel like I need to check it out! Yes, even though I’ve seen so little of it … Iceland had me right away. Even the 45 minutes car ride from Keflavik in to Reykjavik … pure black, windswept landscape had me wanting for more..